"The book makes a valuable contribution by synthesizing current research and identifying areas for future investigation for each aspect of the survey process." "Overall, the high quality of the text material is matched by the quality of writing . . ."
". . . it should find an audience everywhere surveys are being conducted." 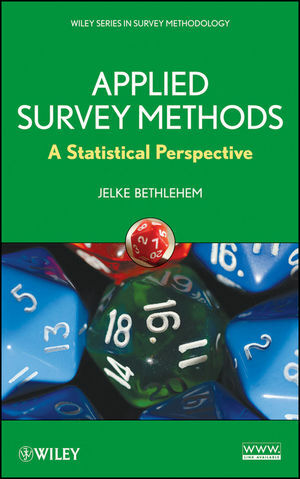 This new edition of Survey Methodology continues to provide a state-of-the-science presentation of essential survey methodology topics and techniques. The volume's six world-renowned authors have updated this Second Edition to present newly emerging approaches to survey research and provide more comprehensive coverage of the major considerations in designing and conducting a sample survey. 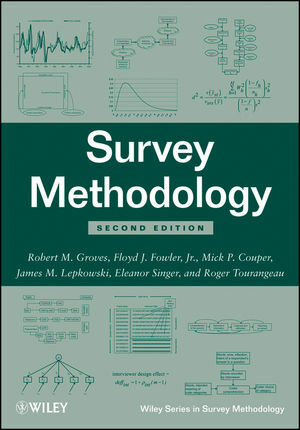 Providing valuable and informative perspectives on the most modern methods in the field, Survey Methodology, Second Edition is an ideal book for survey research courses at the upper-undergraduate and graduate levels. 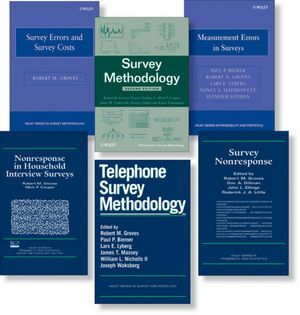 It is also an indispensable reference for practicing survey methodologists and any professional who employs survey research methods. ROBERT M. GROVES , PhD, is Professor and Director of the University of Michigan Survey Research Center and Research Professor at the Joint Program in Survey Methodology at the University of Maryland. FLOYD J. FOWLER, PhD, is Senior Research Fellow in the Center for Survey Research at the University of Massachusetts Boston. MICK P. COUPER, PhD, is Research Professor at both the University of Michigan Survey Research Center and the Joint Program in Survey Methodology at the University of Maryland. JAMES M. LEPKOWSKI, PhD, is Research Professor at the University of Michigan Survey Research Center, where he is also Associate Professor in the Department of Biostatistics and Director of the Joint Program in Survey Methodology. ELEANOR SINGER, PhD, is Research Professor Emerita at the University of Michigan Survey Research Center. ROGER TOURANGEAU, PhD, is Research Professor at both the University of Michigan Survey Research Center and the Joint Program in Survey Methodology at the University of Maryland. The total number of exercises in the Second Edition has doubled, providing the reader with even more opportunity to test their comprehension of the presented material. The use of mobile phones is now intertwined in the book's discussions on data collection, sampling frames, and survey error. 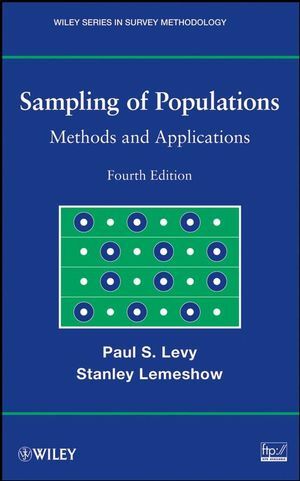 The chapter on nonrepsonse in sample surveys has been completely rewritten to reflect the latest research on the topic. This new edition serves as a timely update on survey research, reflecting the growing use of technology in the field of survey methods. The authors acknowledge the growing use of the web for collecting data, with expanded treatment of internet surveys across two chapters. An expanded FAQ chapter addresses the concerns that accompany the newly-established methods and research variables.